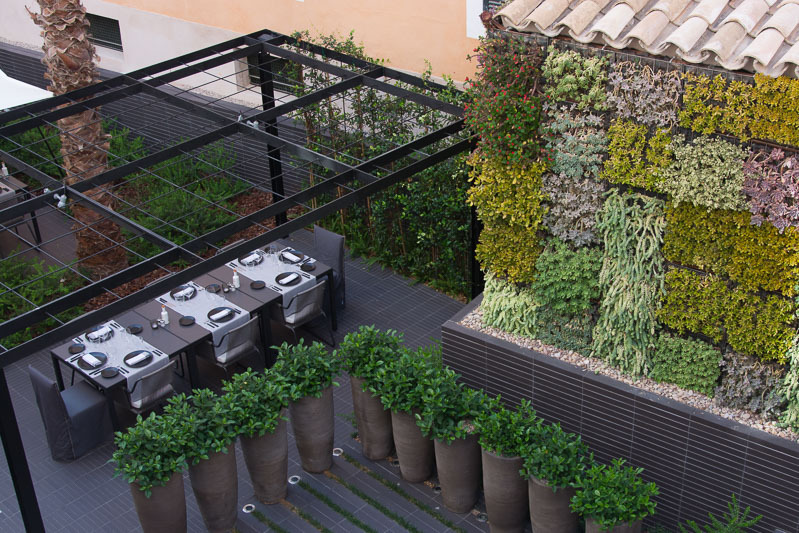 Some lovely smaller hotels have opened in recent years in Palma’s Old Town – the most interesting of which was only this spring (2015). 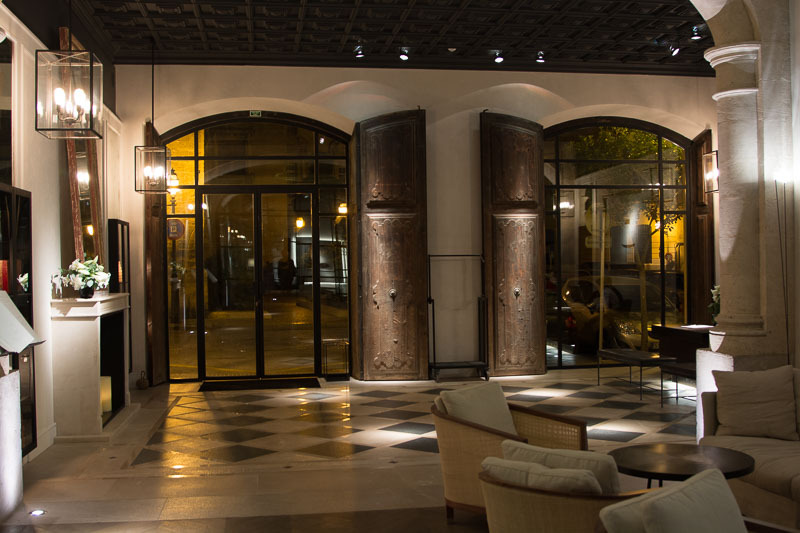 The 5-star Sant Francesc Hotel Singular is in the plaza of the same name, opposite the Sant Francesc Basilica. 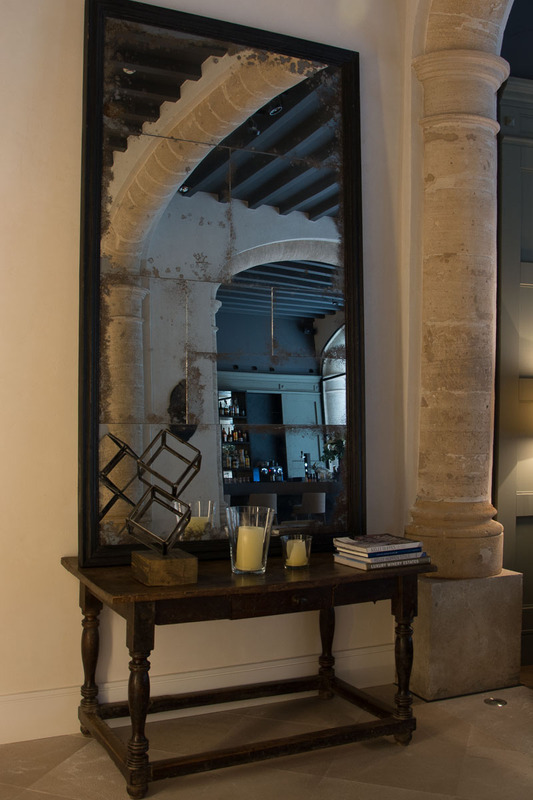 The 42-room hotel is a superb renovation of an old palacio, involving artisan work to restore many of the property’s original traditional features. It’s ultra-cool, contemporary, and comfortable. Not always a guaranteed combination. And it looks at its best at night, with romantic lighting . 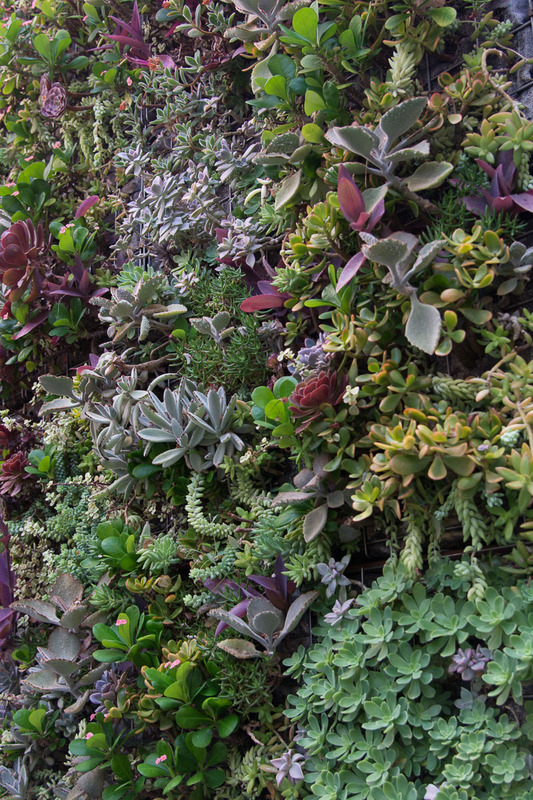 . .
We stayed for one night in a first-floor room, which open onto a large shared terrace – from which we had a glimpse of the hotel’s garden (note the vertical planting wall). As you’d rightly expect in a 5-star room, amenities were good and included a capsule coffee-making machine (with Nespresso capsules), well-stocked minibar, safe, and glossy magazines to read. I especially liked the delicious fig-scented Heeley toiletries in the bathroom. 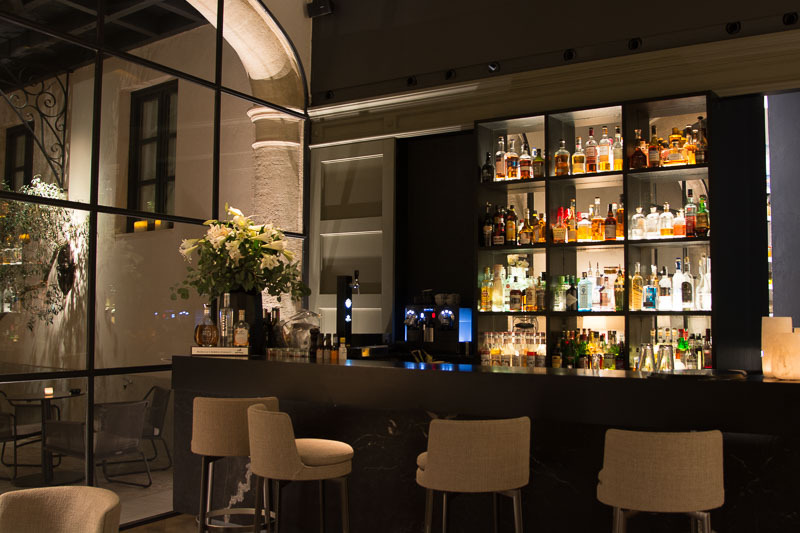 The temptation is to dine out in one of Palma’s restaurants – but Quadrat, the restaurant here, is well worth experiencing. I had previously had a good set lunch here, so dinner was a must-try. 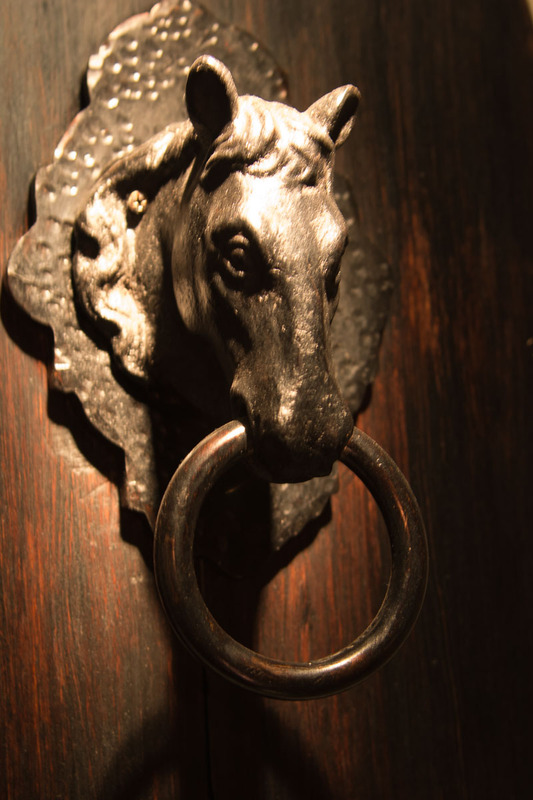 The dining room was once the palacio’s stables – spot hints of that in the décor. In fine weather, you can eat in the garden, which we did. We ate from the à la carte menu, with a choice of around a dozen starters, a couple of rice dishes, three meat, and three fish dishes. We had a bottle of Mallorcan ‘rosado’ from Ribas (25€ – a fair price in this setting). We started with warm bread rolls with a local extra virgin olive oil – bottled for the hotel – and a delicious amuse bouche. 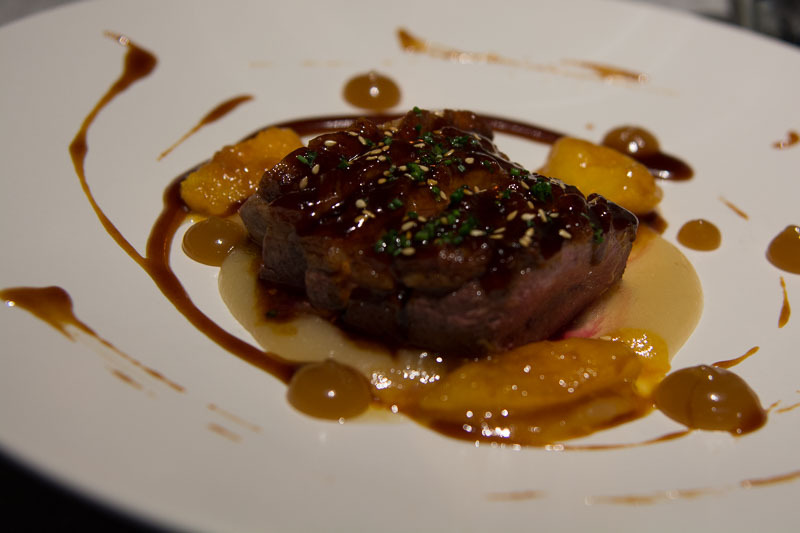 Like many restaurants on Mallorca, a tasting menu is also offered: five courses for 45€. Our dinner was of a very high standard and we didn’t regret not going out to eat. 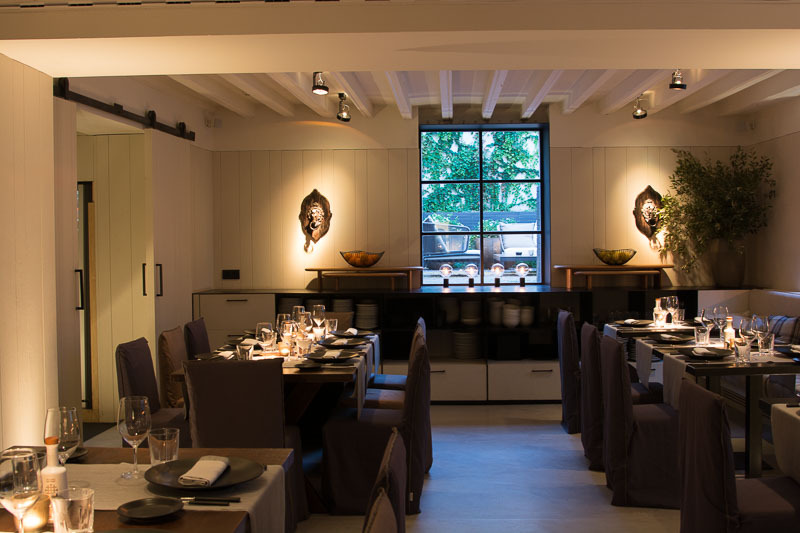 Dining indoors . . . 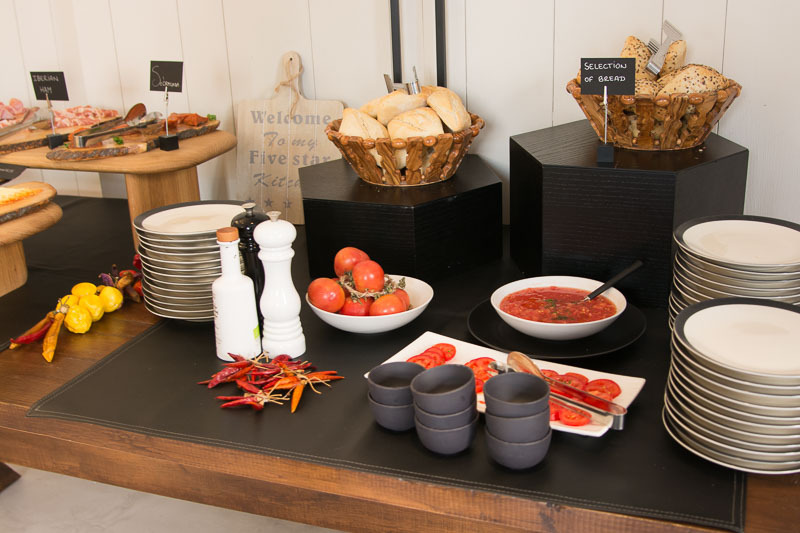 The tomato corner of the breakfast buffet! Breakfast was also very good, with plenty of choice: cereals, fresh fruit, baked goods, preserves, cold meats, and cheeses. A whole host of egg dishes is offered – including the classic eggs Benedict – which are cooked to order. 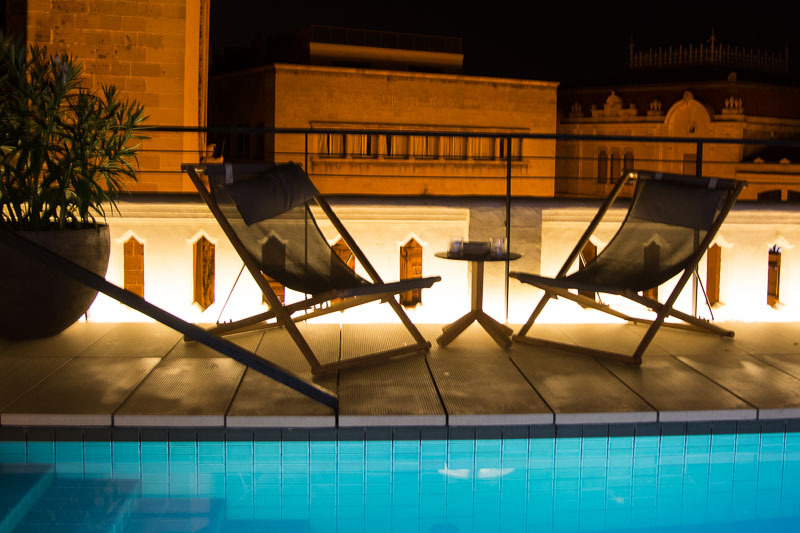 Have a drink in the hotel’s ground-floor bar, or at the poolside lounge/bar on the roof terrace, where you have views of the city skyline. It’s pretty special for a post-dinner cocktail at night (but the bar closes at midnight, which surprises those who think the Spanish party all night!). If gastronomic indulgence calls for more exercise than a few gentle laps of the pool, head to the basement, where the weapons of torture (can you tell I’m no longer a gym bunny?) include free weights, exercise balls, and a couple of serious-looking Technogym machines – oh, and a glitter ball hanging from the ceiling! I figured walking down to the basement and back up was exercise enough . . . The hotel has featured in numerous international glossy magazines and respected newspapers. We spent time by the pool chatting to an orthopaedic surgeon and his wife from Los Angeles. Word of this hotel has travelled around the world, thanks to the clever use of a professional PR agency in New York. 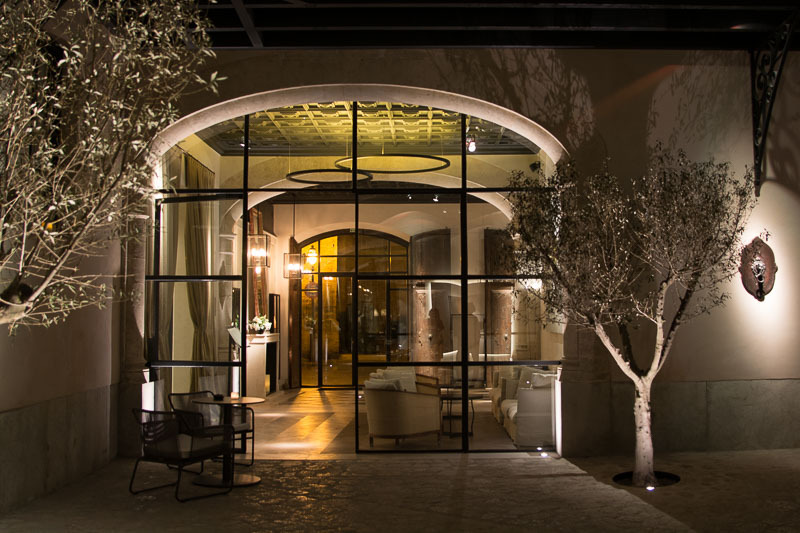 Hotel Sant Francesc Singular is well and truly on the global map . . . and I think it’s worth the journey.